Richard's primary focus is on marketing and customer touch point strategy. Also working as an internal consultant has provided him with ample experience as a project leader for multi-disciplined projects which included call center operations, information technology, data warehousing, and other functions that are required to build businesses, or increase profitability. Sherry is a recognized leader in the customer service and technical support community. She is an accomplished trainer and speaker in the dynamics of the customer service delivery, leadership, team building, coaching and development. In addition, she is a certified call center expert and project leader for the design, development and implementation for service and support departments within Fortune 500 clients. As a customer retention expert, Sherry provides detailed analysis of the customer touch point work flow processes and the design and implementation for all areas of the customer experience within the organization. Want to liven up your next event? Best known for her humor and energetic style, Sherry is a popular speaker who will inspire your team to strive for excellence. 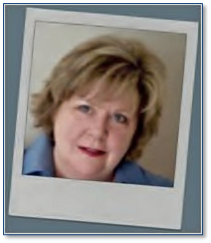 As a seasoned and dynamic presenter Sherry customizes the presentation around your organizations real-life examples guaranteed to deliver a message that hits home with the audience! EVANS CONSULTING GROUP is a recognized leader in customer contact, support and call center consulting, customer satisfaction audits, and management development training programs. We are now in our 14th year of business, offering our customers the best service center design, development, implementation and training service programs in the area! We are best known for our extensive call center experience and our hands on approach. As independent consultants, we represent only our clients, always representing their business needs. We do not engage in the sale or promotion of any products or services other than our own consulting programs. Our goal is to provide our clients the best options and technical solutions to meet their specific business requirements. CUSTOMER SERVICE 101 is a division of Evans Consulting Group focused specifically on customer service training and development. We offer customized training programs to meet your organizations specific needs. Our training and development group leader Sherry Redden Evans is a certified call center expert and an accomplished training facilitator. Sherry has developed training programs for call center management skills, leadership skills, first line supervisory skills, and customer service skills. Recognized leader in the customer service community and is an accomplished speaker in the dynamics of the customer service delivery within organizations. Sherry and her team will be with you every step of the way from the needs analysis to post assessment follow-up to ensure the success of the program. The mission of both Evans Consulting Group and Customer Service 101 is to help clients improve the effectiveness of their customer communications. The bottom-line result of each assignment we take on is to increase customer loyalty and improve revenue stream, as well as help to reduce operating costs. We help our clients retain their customers by focusing on improving service levels in all areas of customer touch points. To categorize our services clearly for our clients, we've created three different categories of services, each of which falls under a different business name - Evans Consulting Group (the parent company), and Customer Service 101. 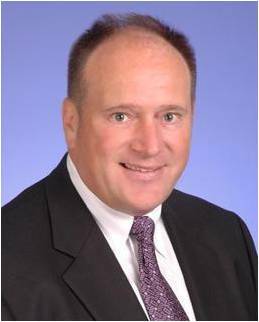 Tom Rocca has over 30 years in customer service and sales technology re-engineering for call centers. He keeps a continual focus on “staying compliant” on all federal and state call center rulings. Mr. Rocca, President of KPI Group provides outsource partner selection, RFP development and management, technology selection & contract negotiation, call center auditing, best practices & sales process flow analysis, sales and service performance enhancement (KPI’s), and federal, state and insurance compliance management. Tom has been an active member of the American Teleservices Association (ATA), now PACE Association, www.paceassociation.com, since 1987 and is a Past National Chairman. Since 1993, he has also been an active member of SOCAP International / Society of Consumer Affairs Professionals and is the Past President of the Georgia chapter and just finished his on the SOCAP National Board of Directors. He also serves on ICSA’s (International Customer Service Association), www.icsatoday.org, a past Georgia Chapter President & still active on the National Board of Directors. As an industry expert, Mr. Rocca is a frequent speaker at regional customer service and consumer affairs seminars focused on contact center technologies and giving legislative updates. 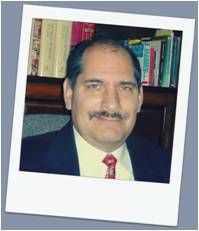 He has written many articles and participated in numerous speaking engagements on “Trends and Facts on Consumer Contact Center Technologies”, “Industry Legislative Updates”, “Choosing an Outsourcing Partner” and “Compliance in an Evolving Contact Center Environment”. Listen to Tom Rocca on "Talk About Service" Radio, which can be heard anytime on www.talkaboutservice.net.